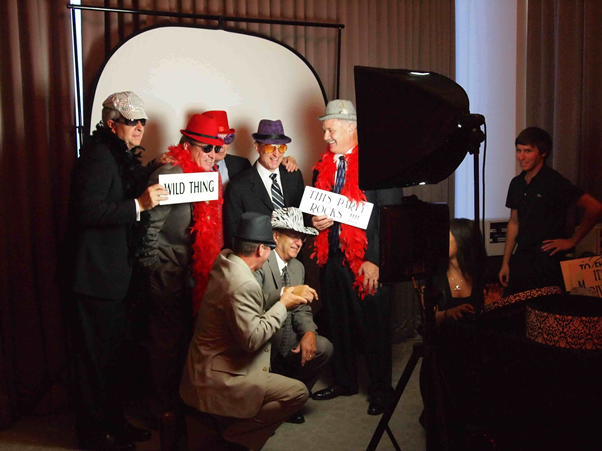 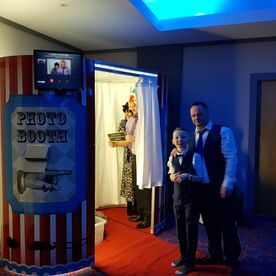 The Photobooth Company is a local entertainment company. 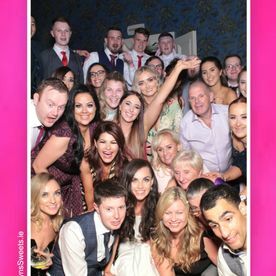 They are a 100% Irish owned tax compliant company and have full liability and employers insurance. 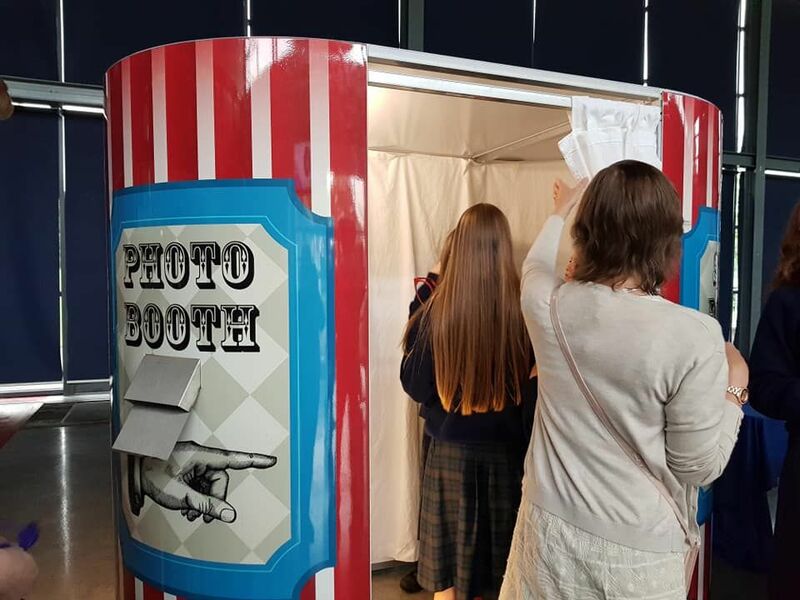 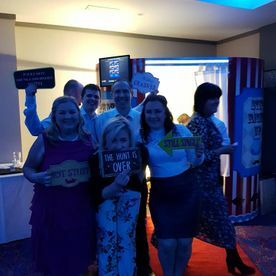 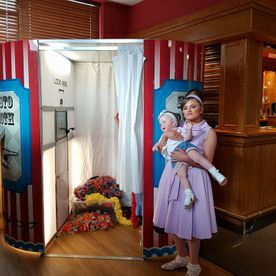 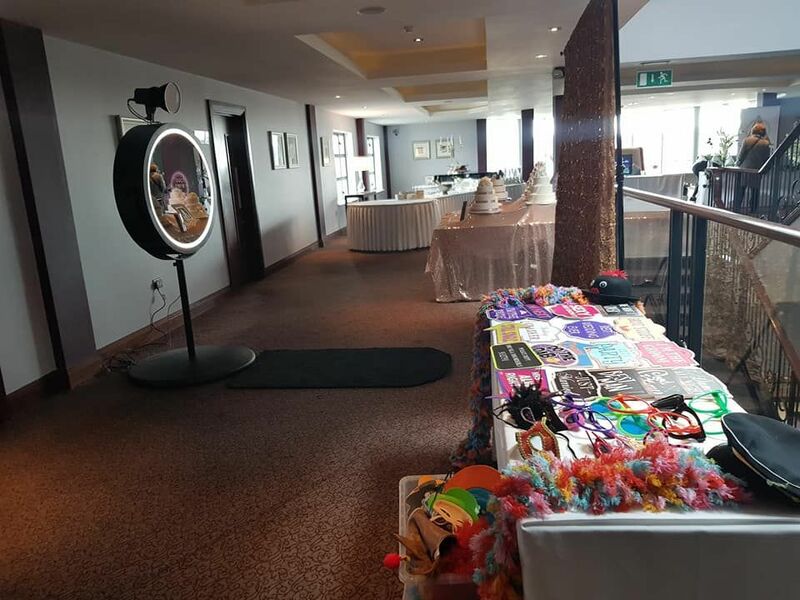 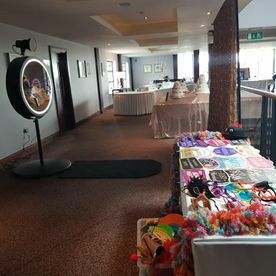 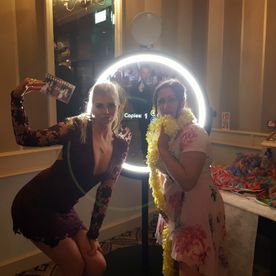 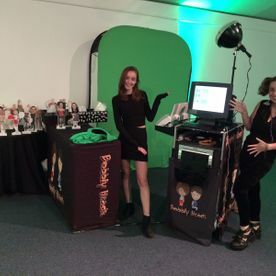 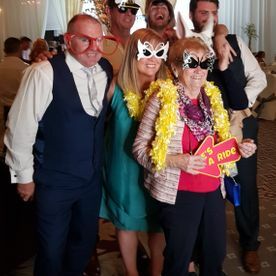 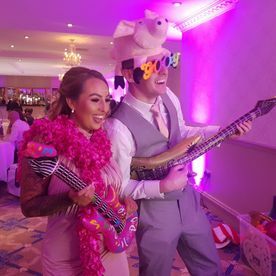 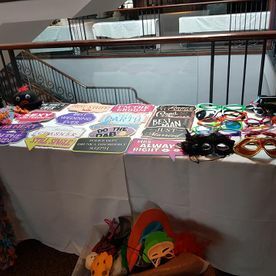 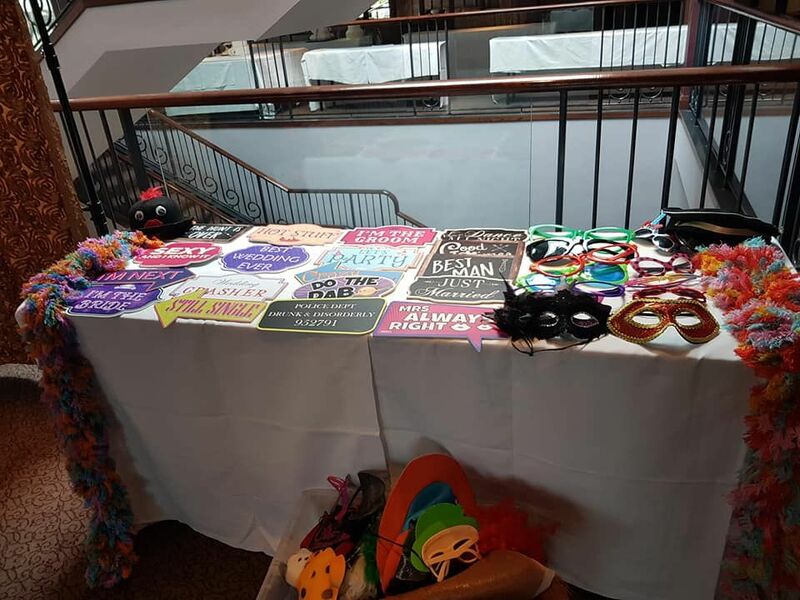 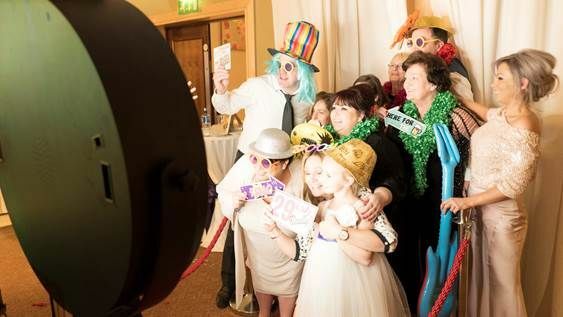 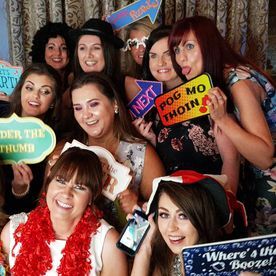 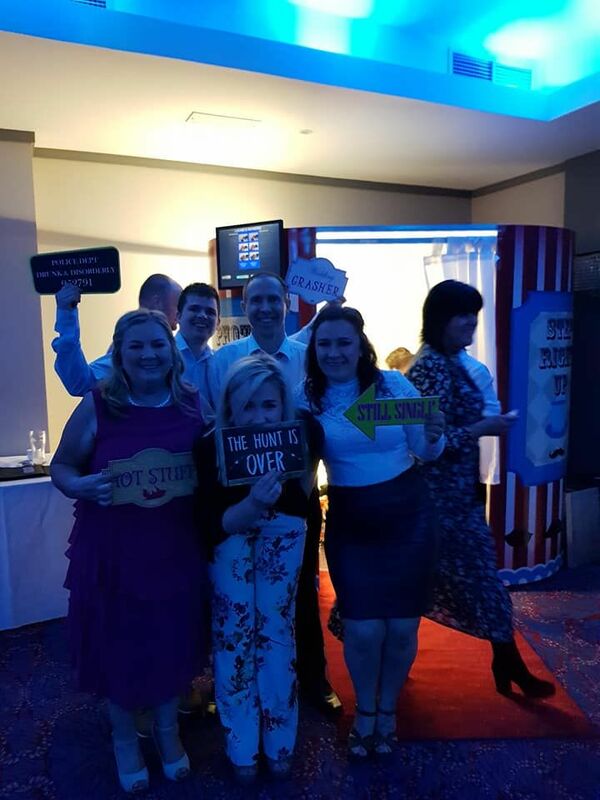 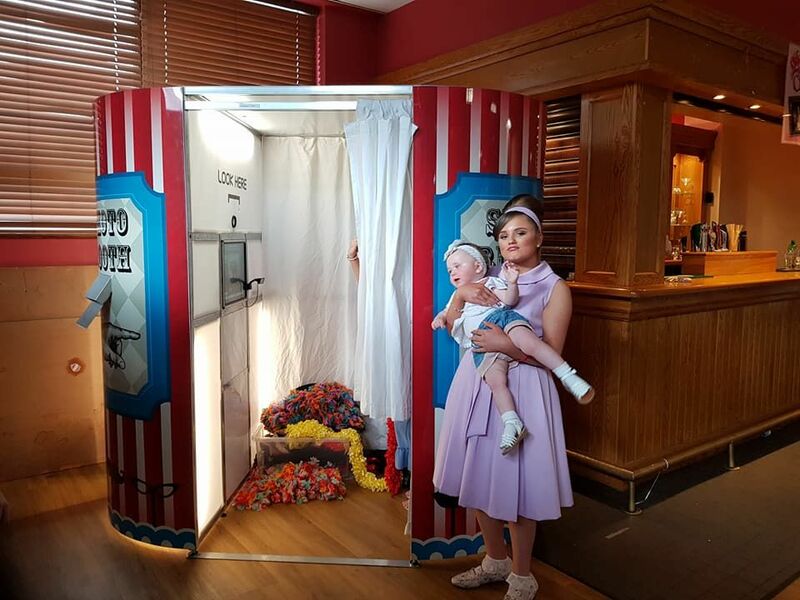 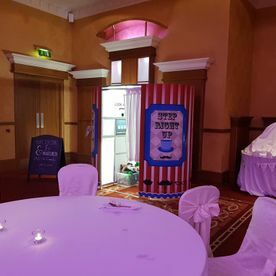 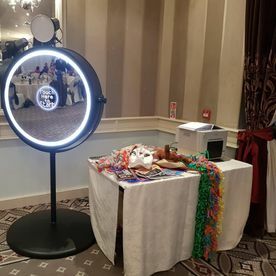 Photobooth Company.ie is the go-to company for dynamic, interactive and personalised party favours for all types of events. 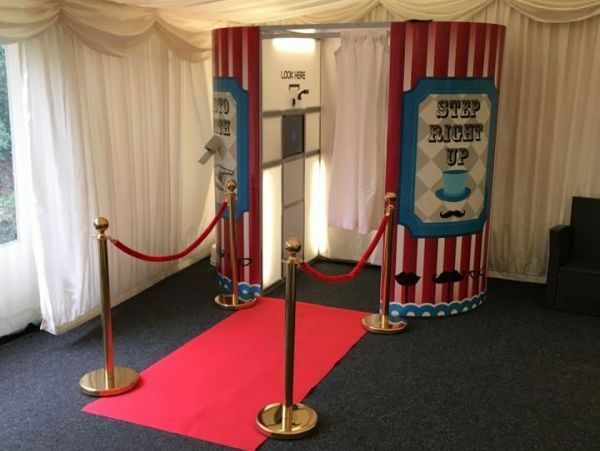 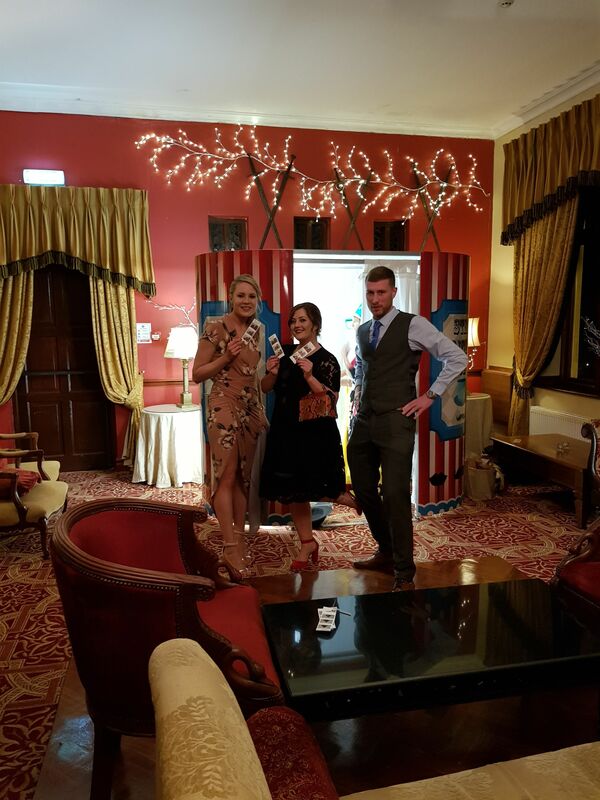 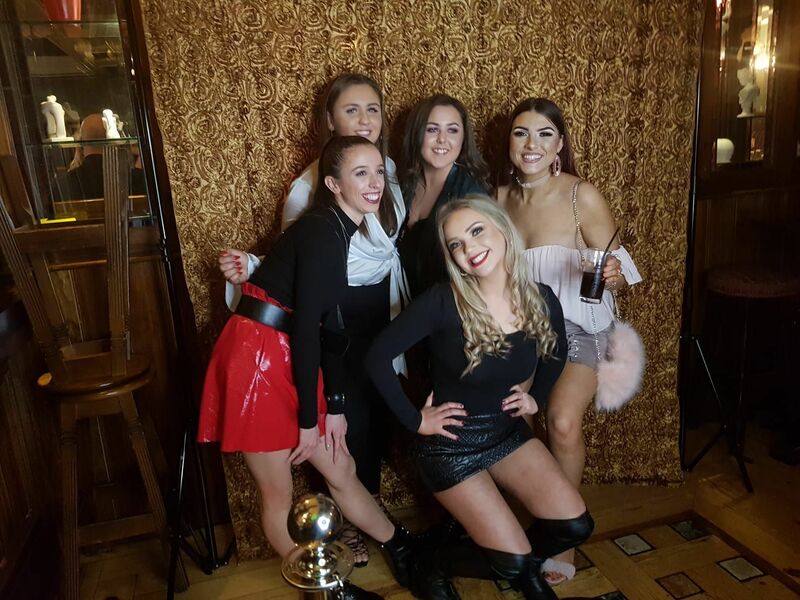 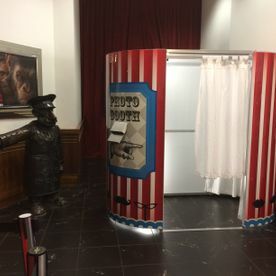 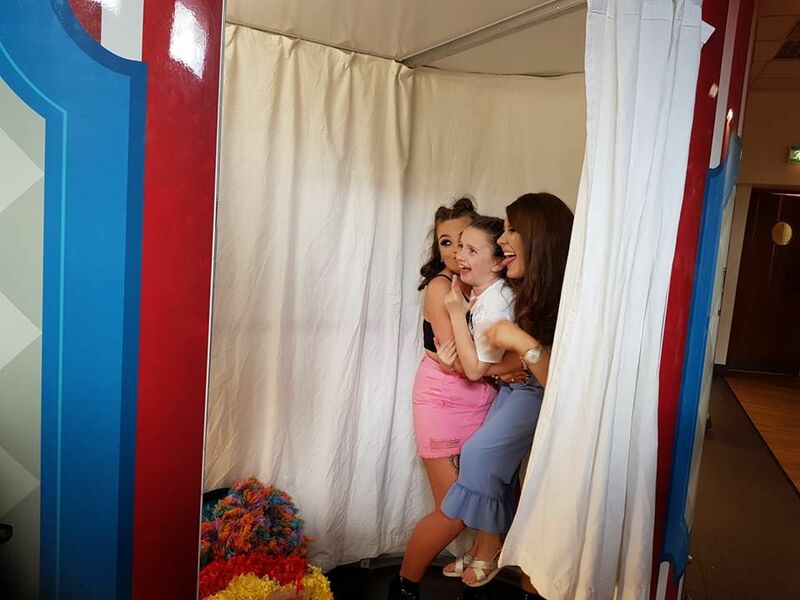 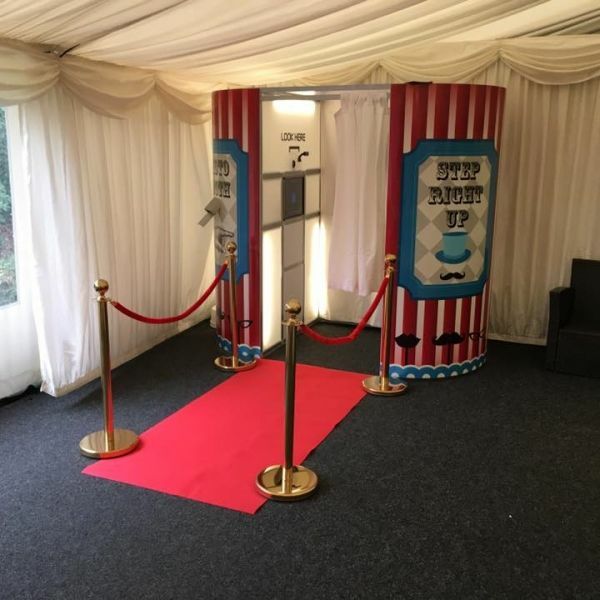 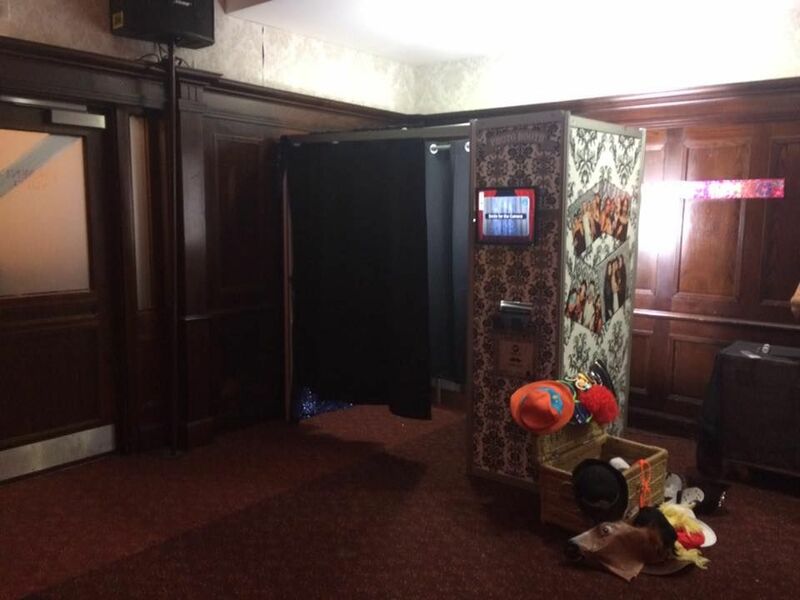 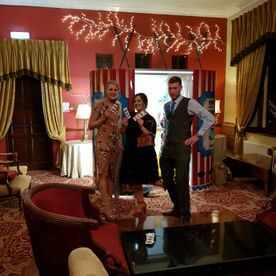 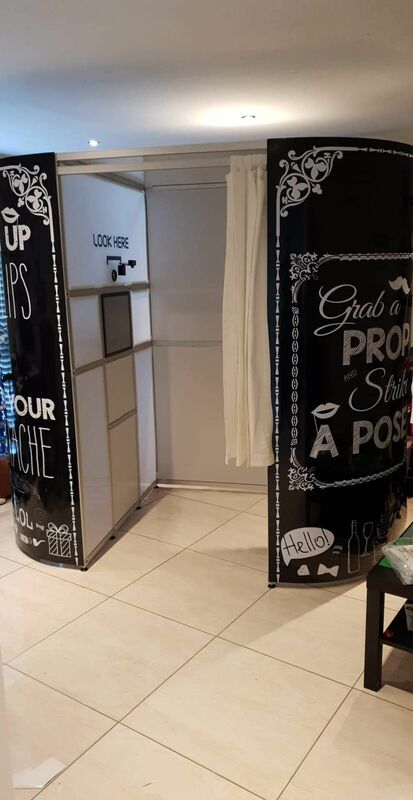 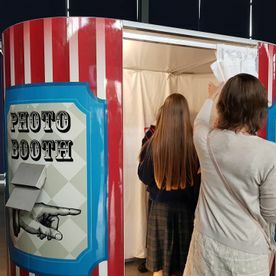 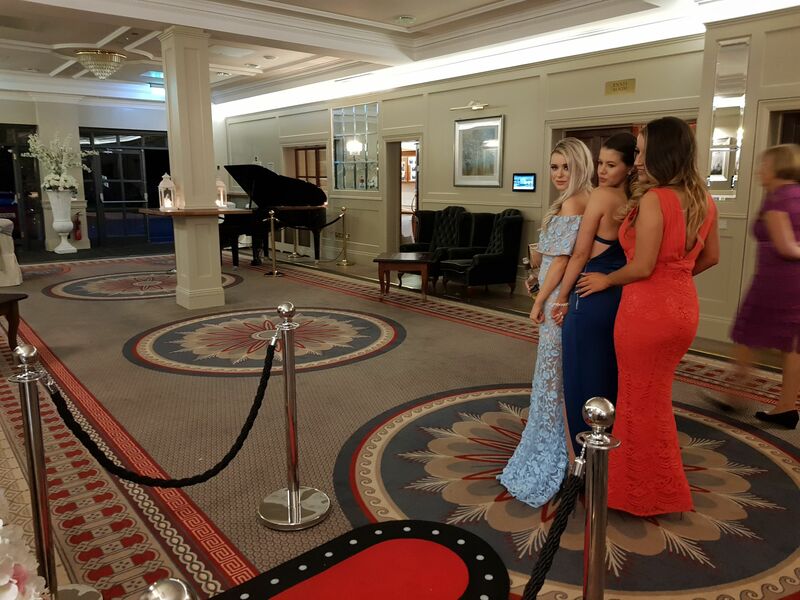 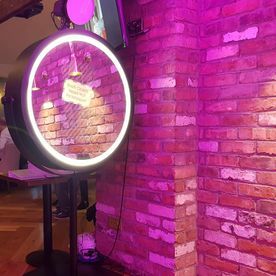 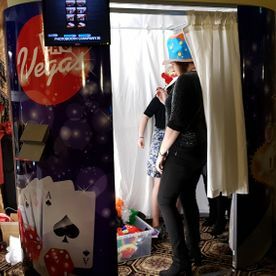 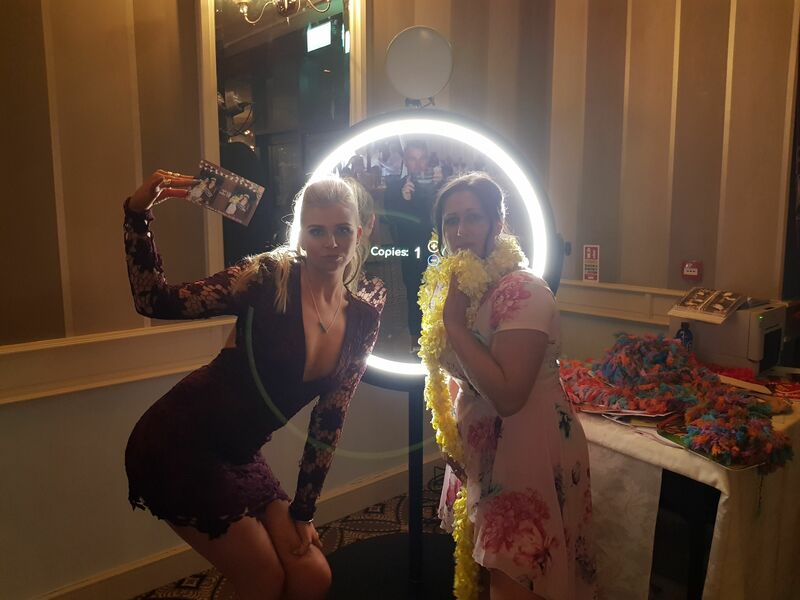 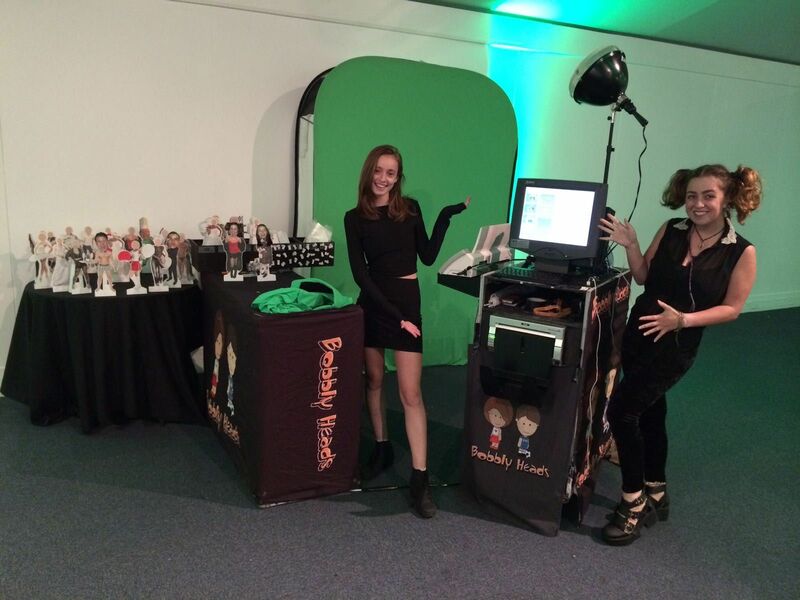 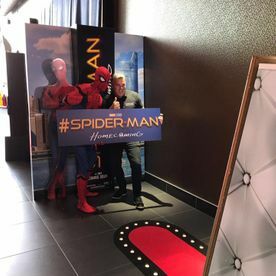 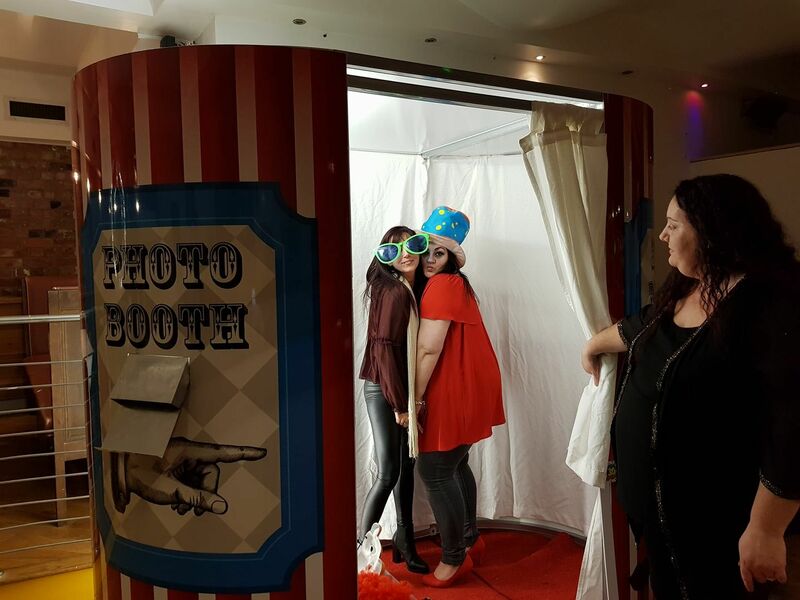 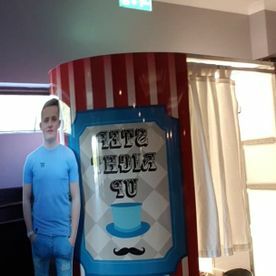 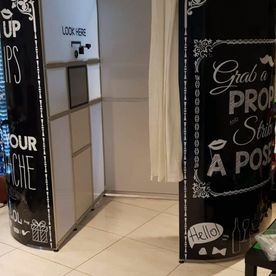 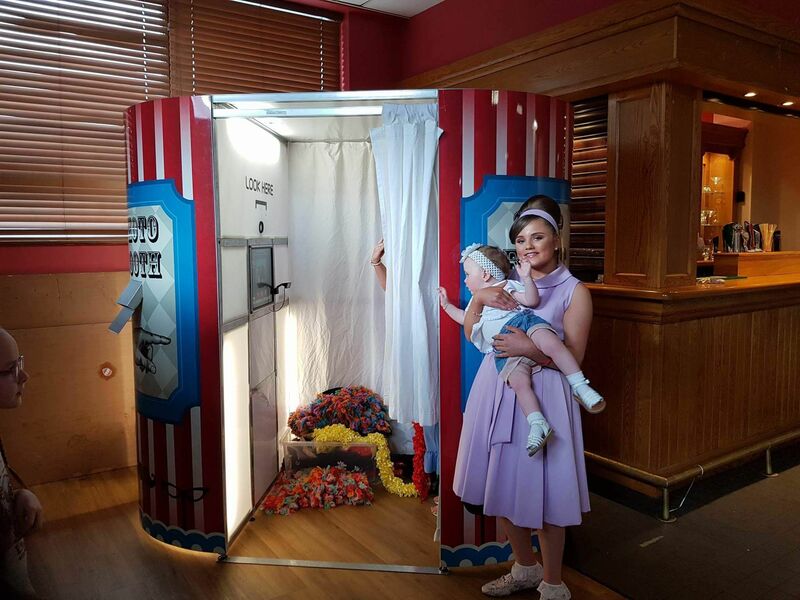 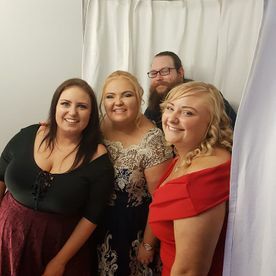 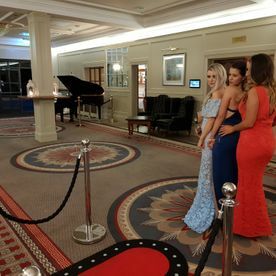 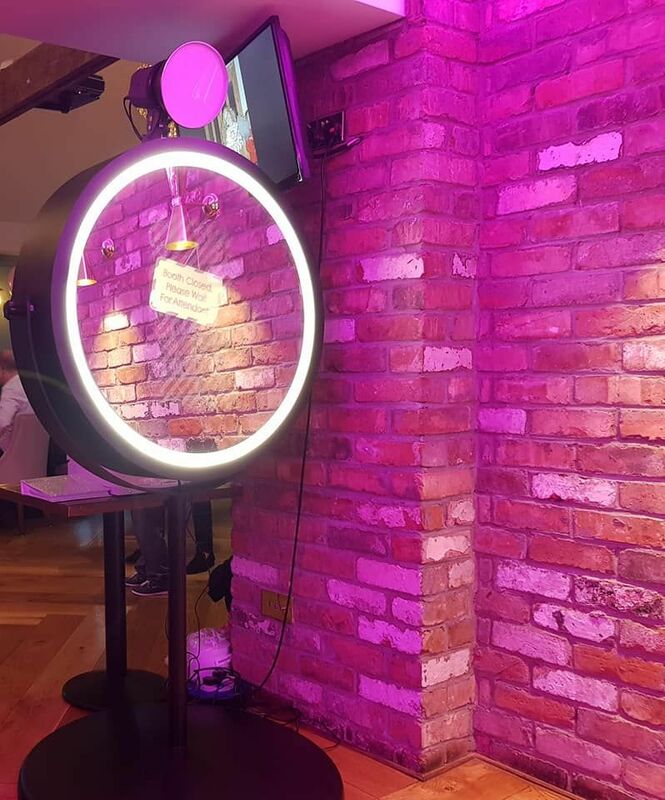 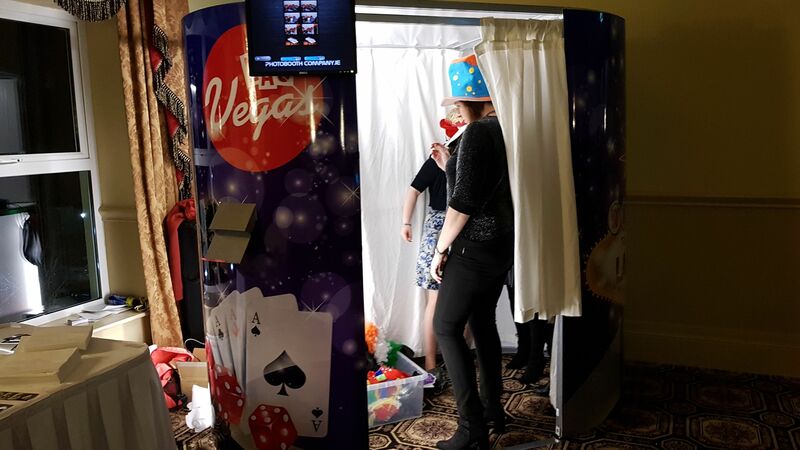 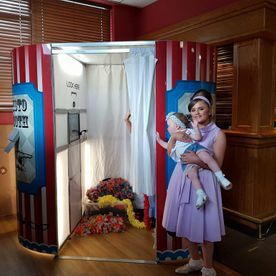 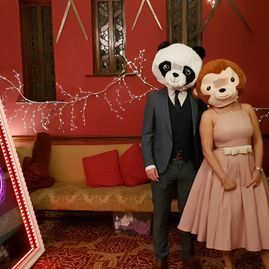 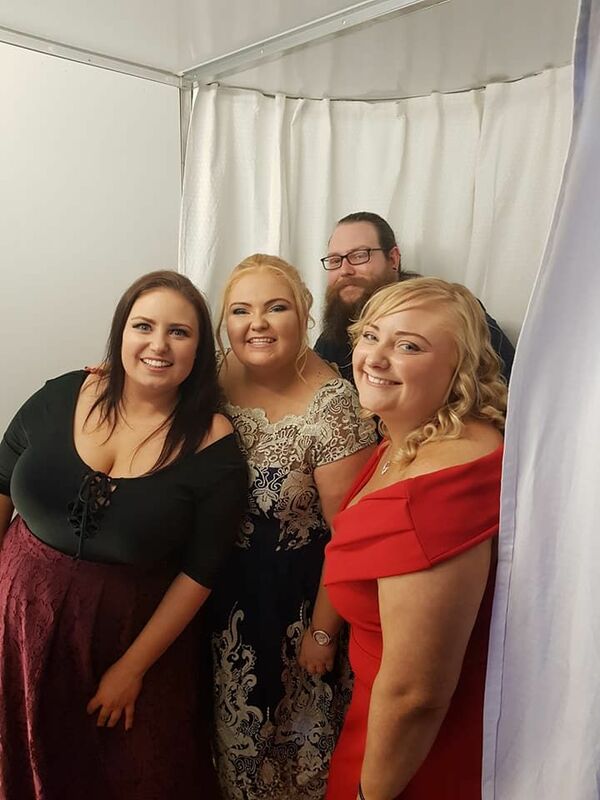 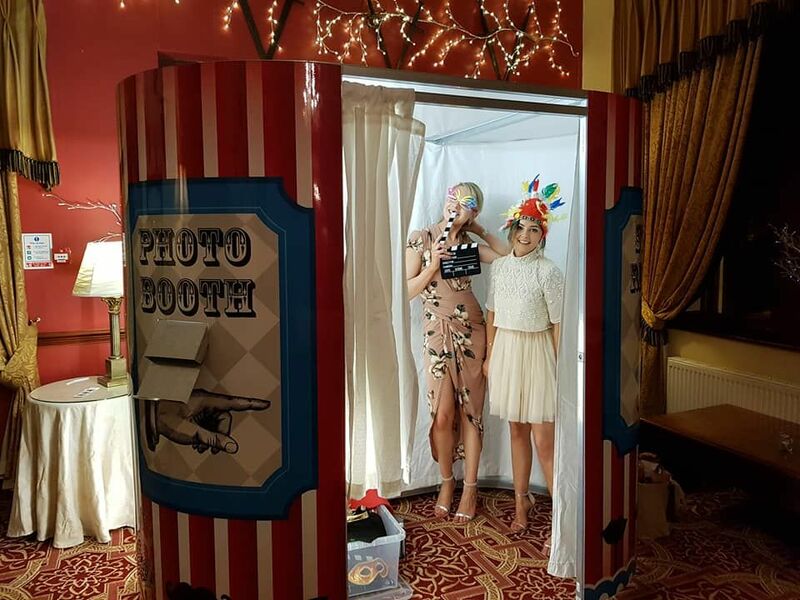 Our photo booths and selfie mirrors are a fantastic addition to any party or event and we always strive to deliver a personalised service, catering to the needs of each individual customer we deal with. 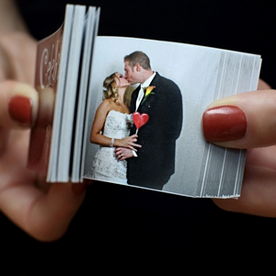 Bring your party to life with our customisable Flipbooks! 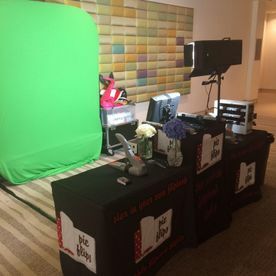 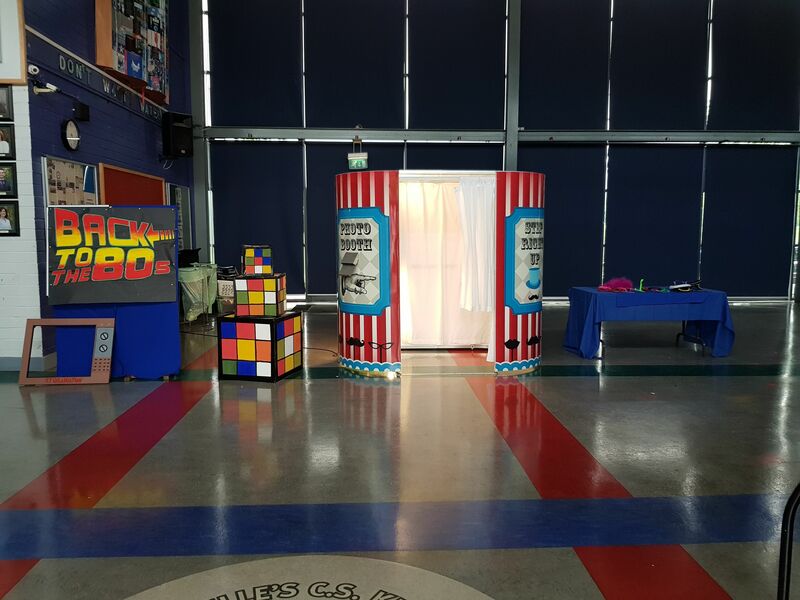 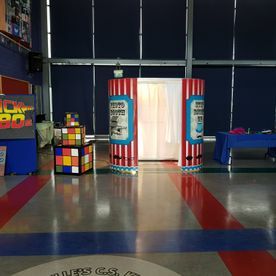 We will come to your party or event and set up our Flipbook display in a 10’ x 10’area in which guests can step behind the camera and make a short video. 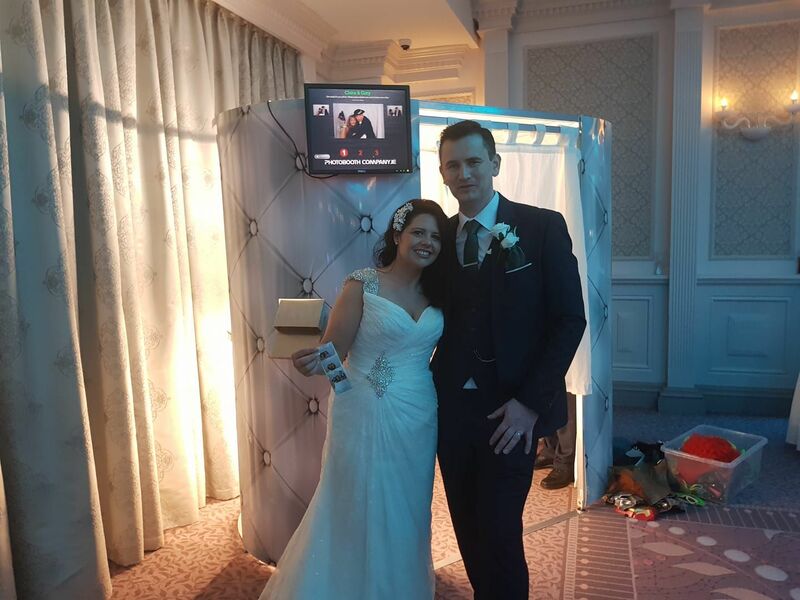 This video is then turned into a personalised Flipbook which can be viewed by other partygoers. Our Flipbook station usually averages 45 Flipbooks per hour. 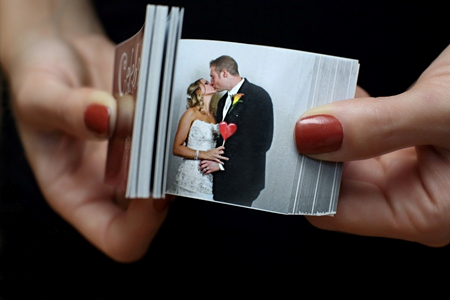 Flipbooks are perfect for any party setting, whether it’s casual or couture and they create memories to last a lifetime. 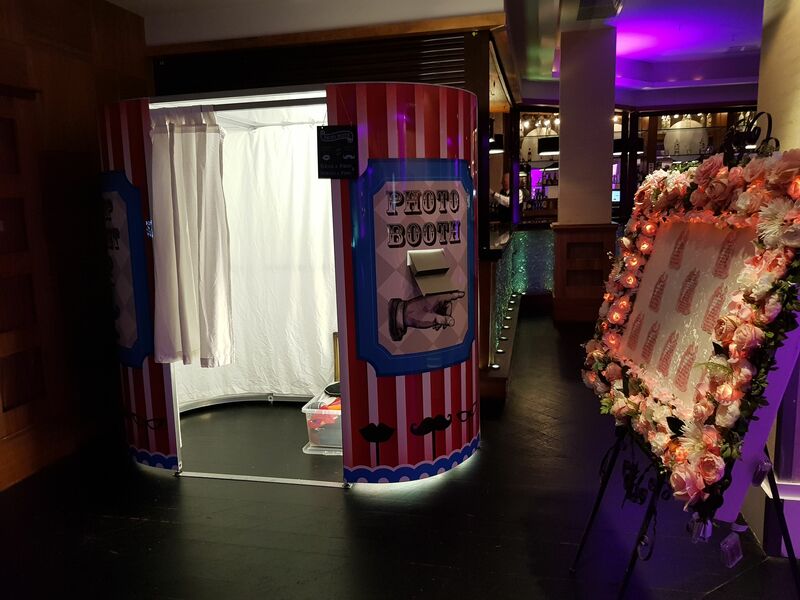 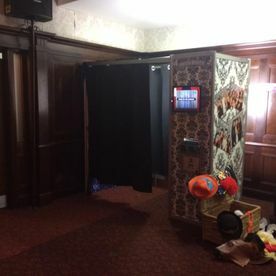 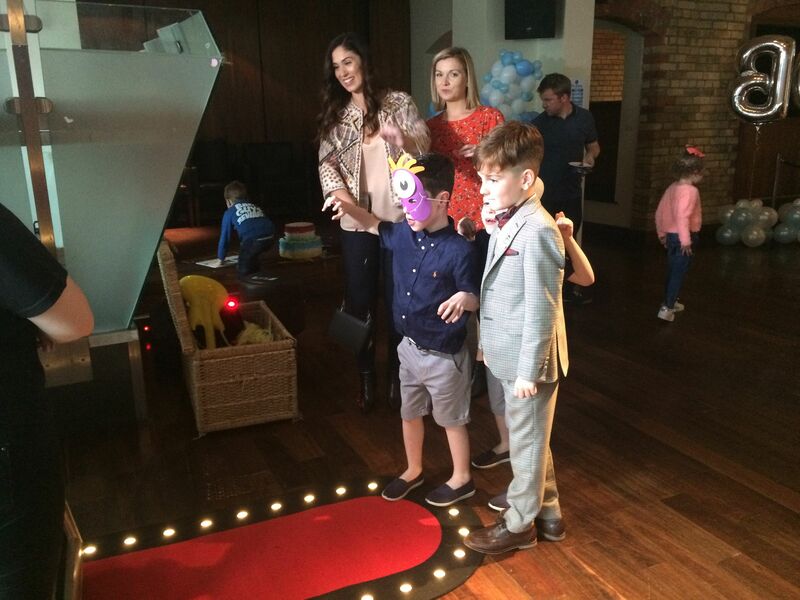 Photobooth Company.ie caters to all types of events. 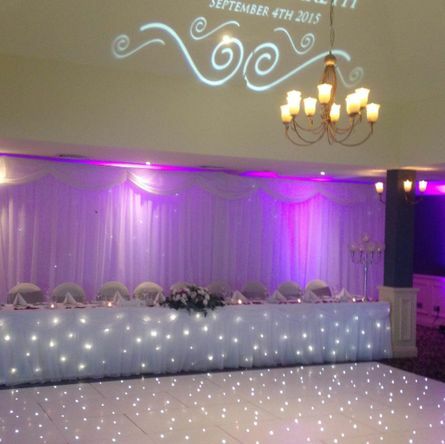 Please contact us for booking enquiries. 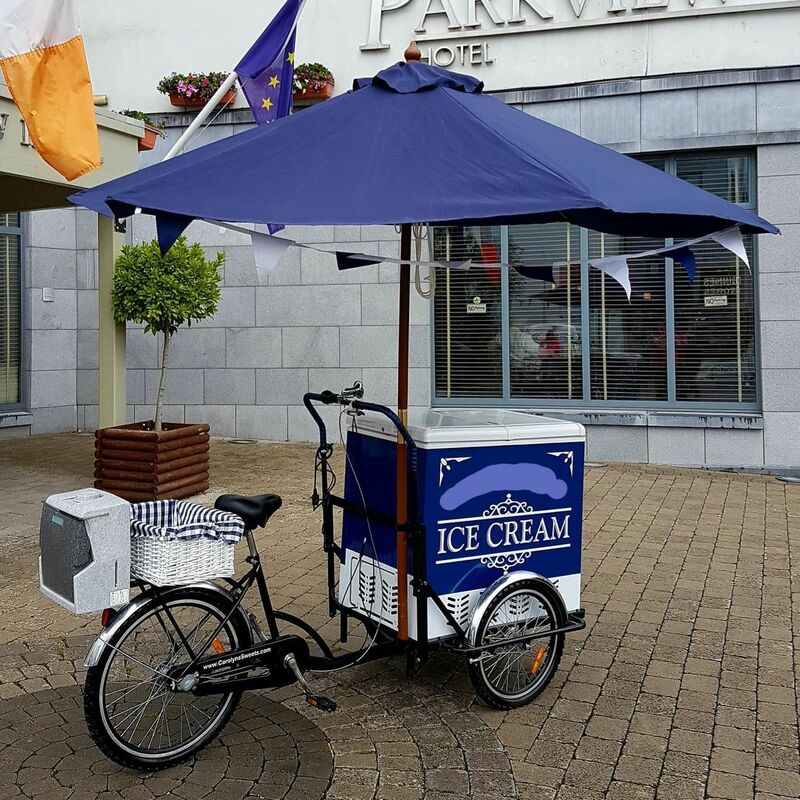 We will have one of our staff, traditionally dressed to serve the ice cream. 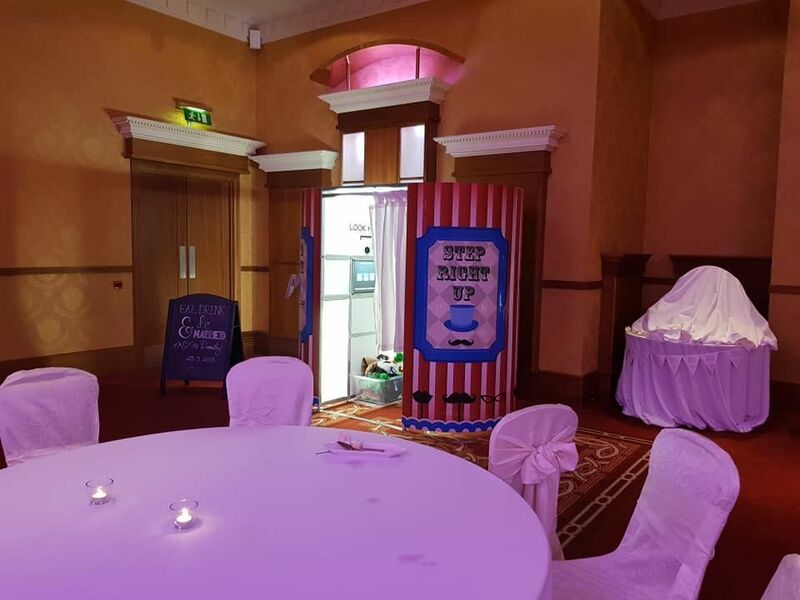 Approximate serving times are usually around 1 to 2 hours outside the church for a wedding or venue. 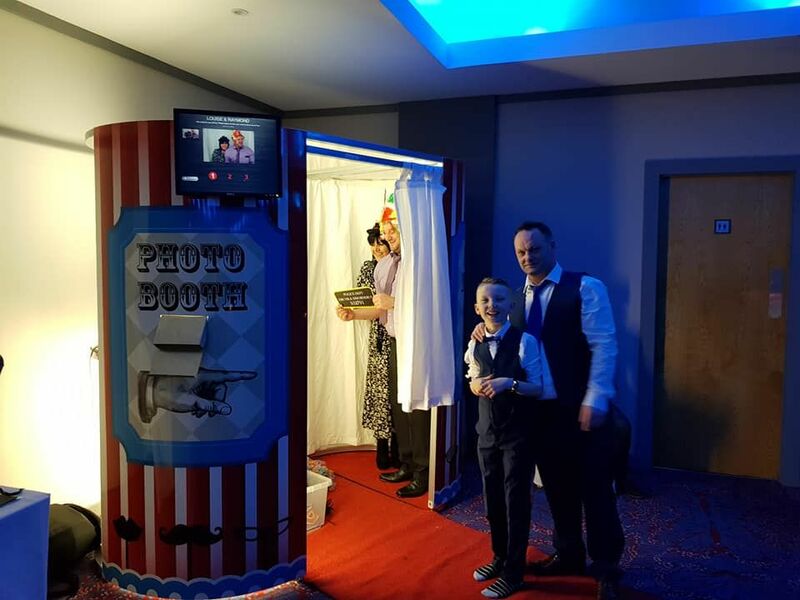 Our Photo Booth is ideal for capturing the special moments at any type of event, giving guests an immediate memento to cherish. 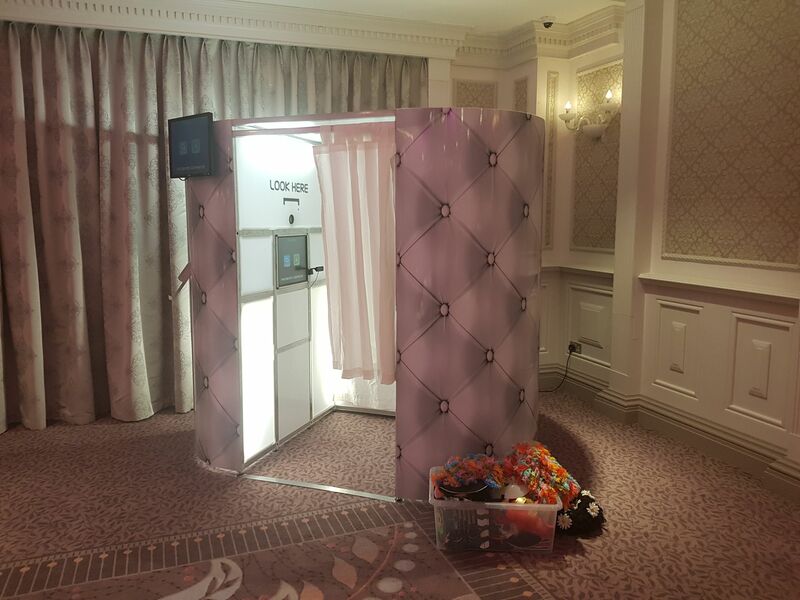 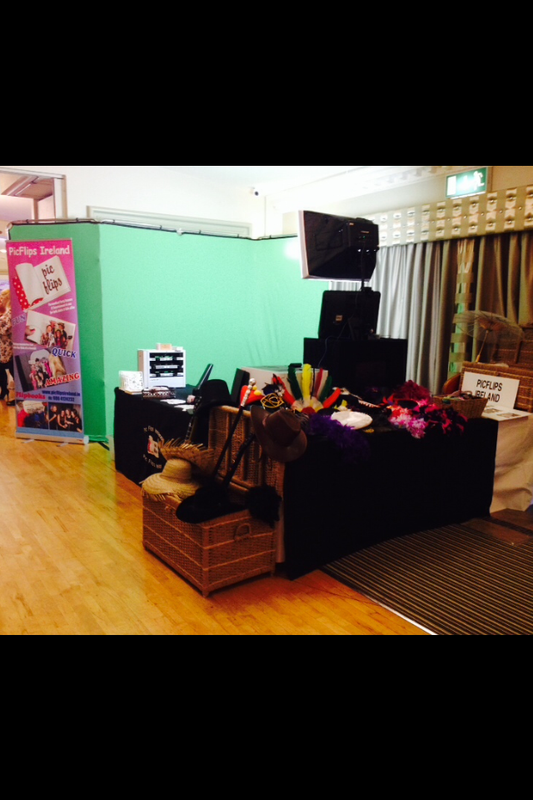 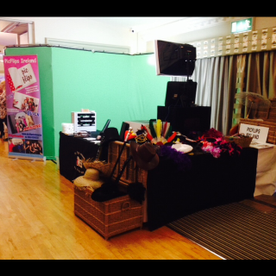 Our booths contain high-quality DSLR cameras and the latest in photo image printing technology. 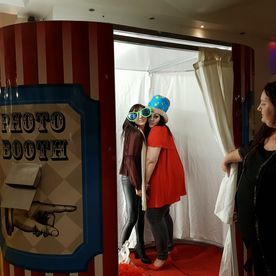 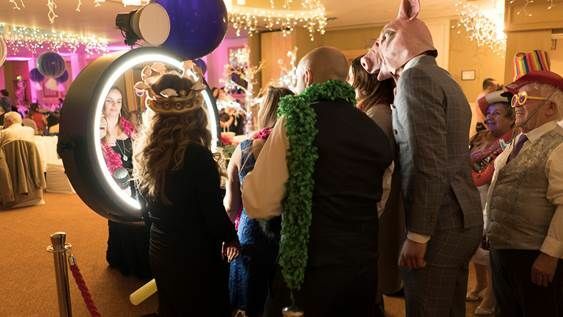 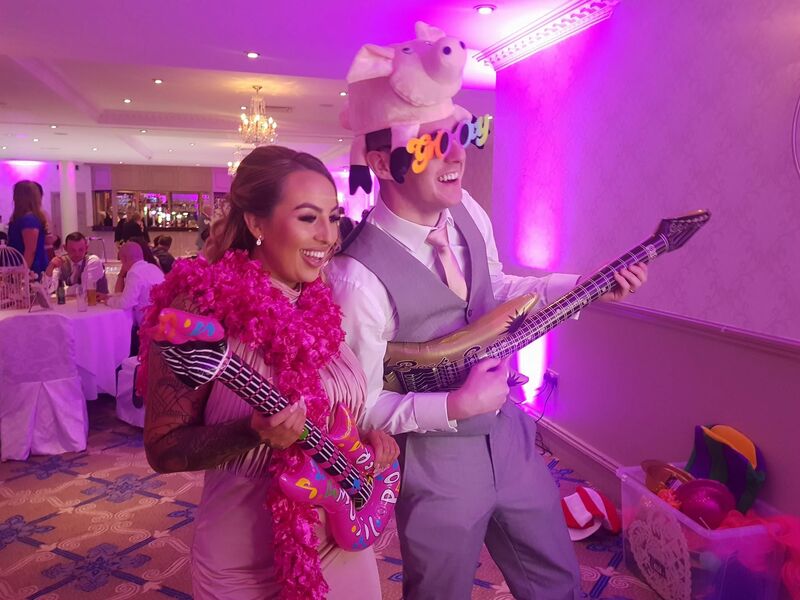 Included in our photo booth hire service is one of our own courteous, specially trained and smartly dressed photo booth attendants who will ensure that everything runs smoothly and your guests get the most out of their photo booth experience. 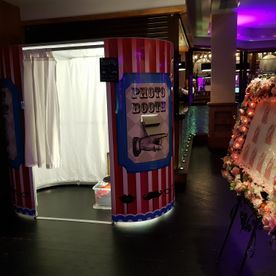 Our Photo Booth is a great addition to any wedding and along with your wedding Photo Booth we also include a wedding photo album which your booth attendant will collate for you with a second copy of the prints your guests have taken of themselves along with their personal messages written in gold pen, giving you something to enjoy looking over the next day. 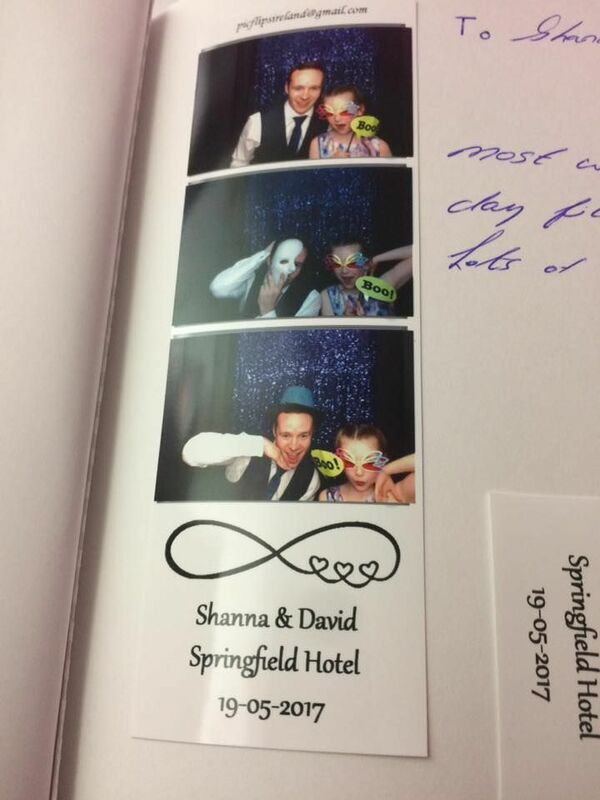 Names and dates are added to the bottom of each print to personalise them. 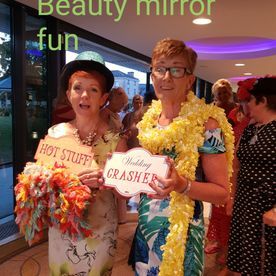 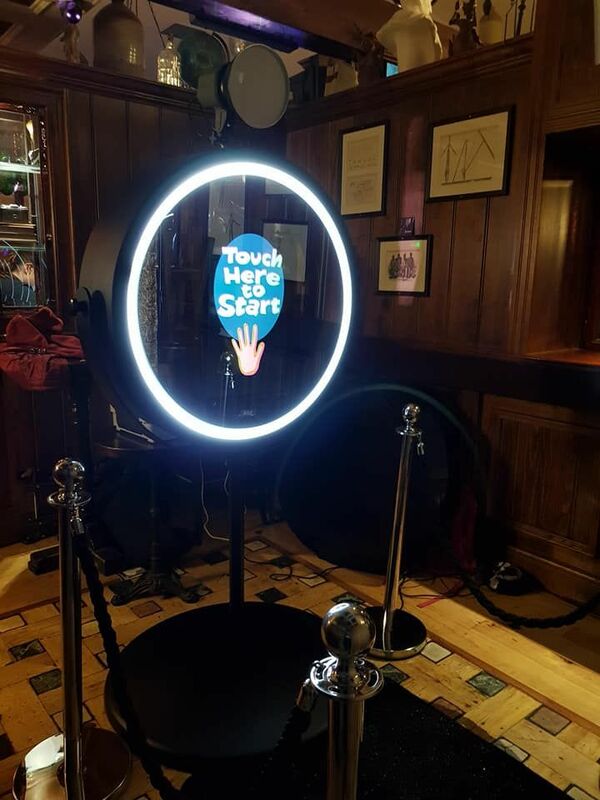 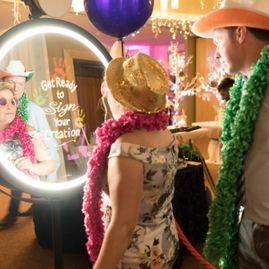 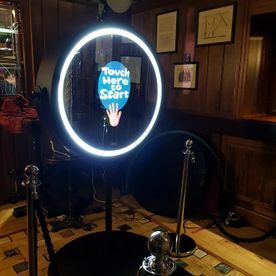 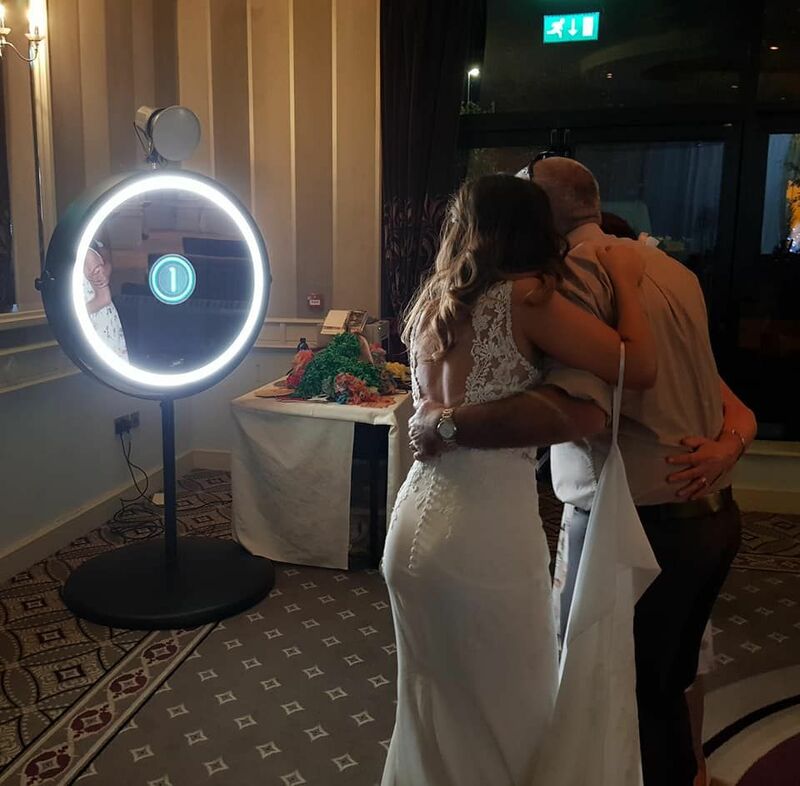 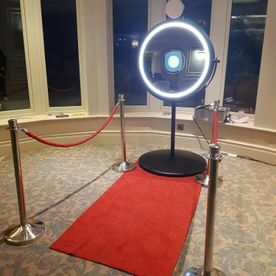 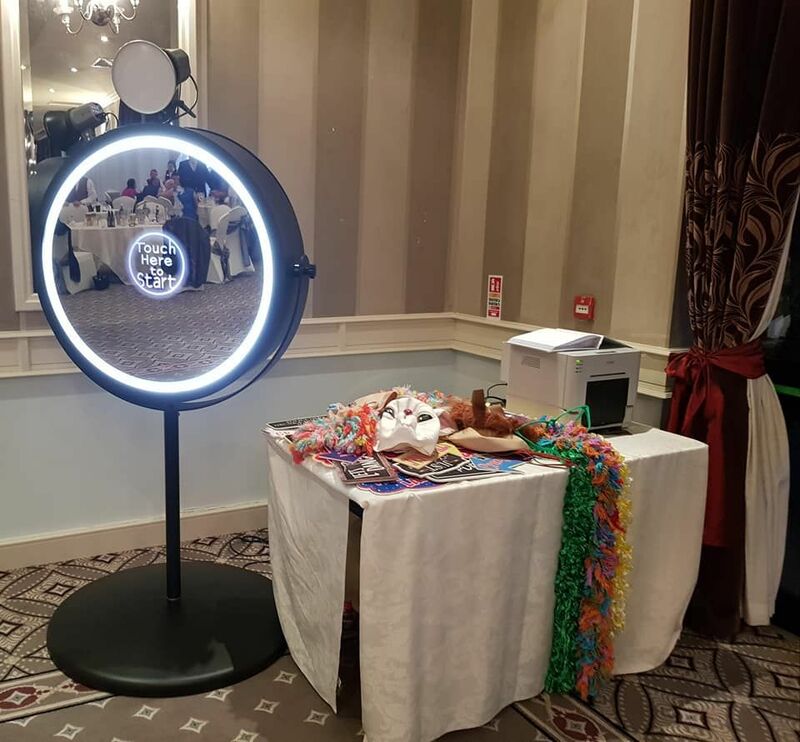 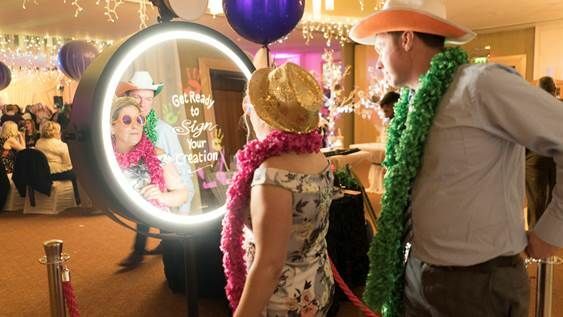 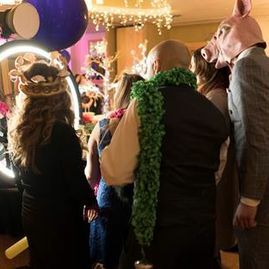 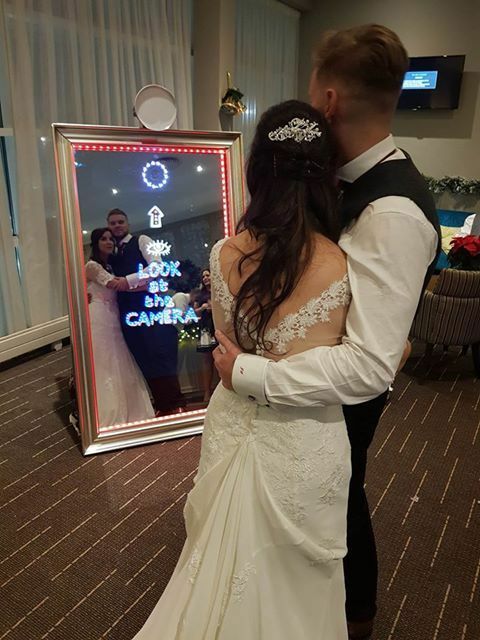 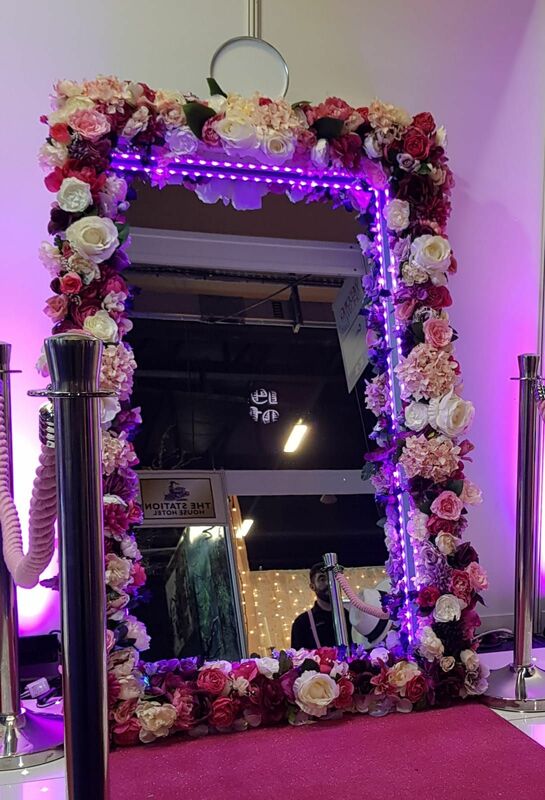 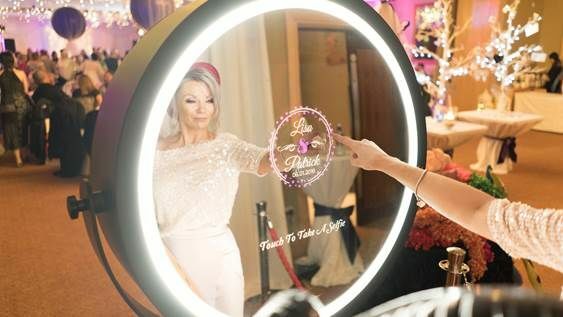 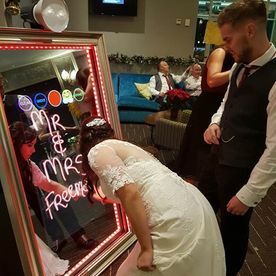 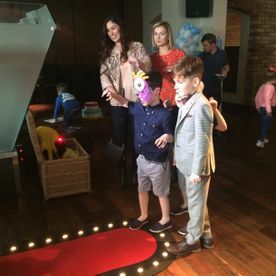 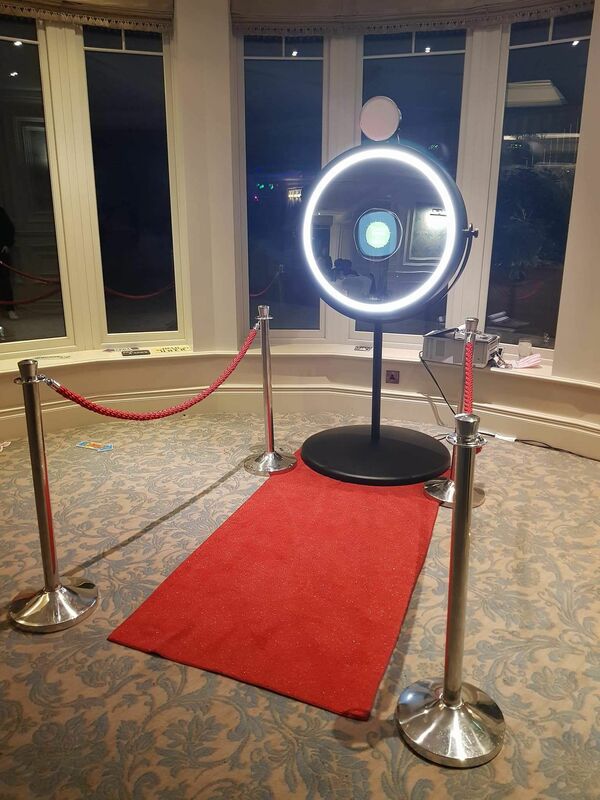 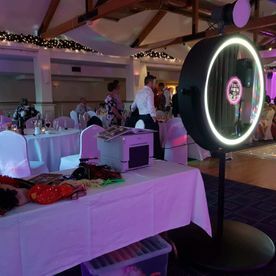 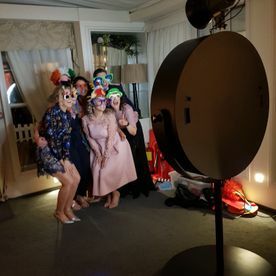 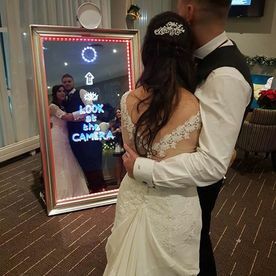 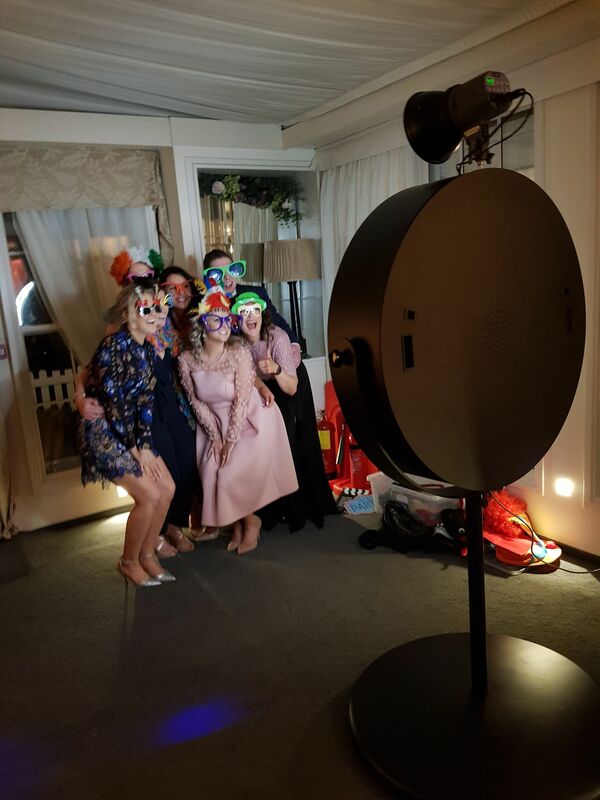 Our Selfie Mirror provides the latest technology in interactive picture taking for a unique party favour that all of your guests will enjoy. 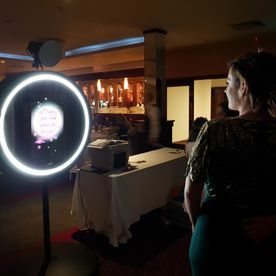 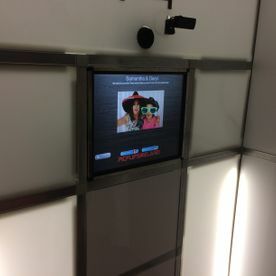 This is a full-length mirror featuring a sleek design and user-friendly interface comprising a touch screen, colourful animations and voice guidance. 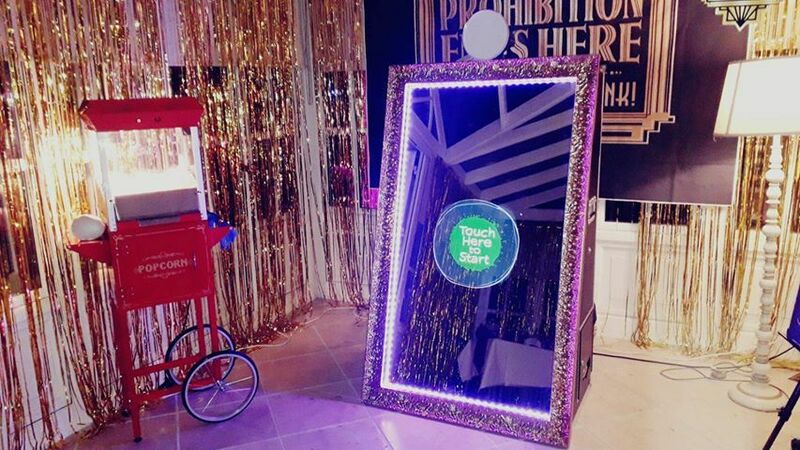 Our Selfie Mirror creates sharp, crisp images which your guests can take home with them. 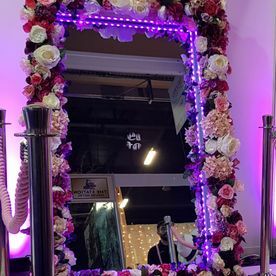 The stunning, state of the art Beauty Mirror has been designed to mimic the classic vanity mirror and also include beauty filters (such as those found on Snapchat). 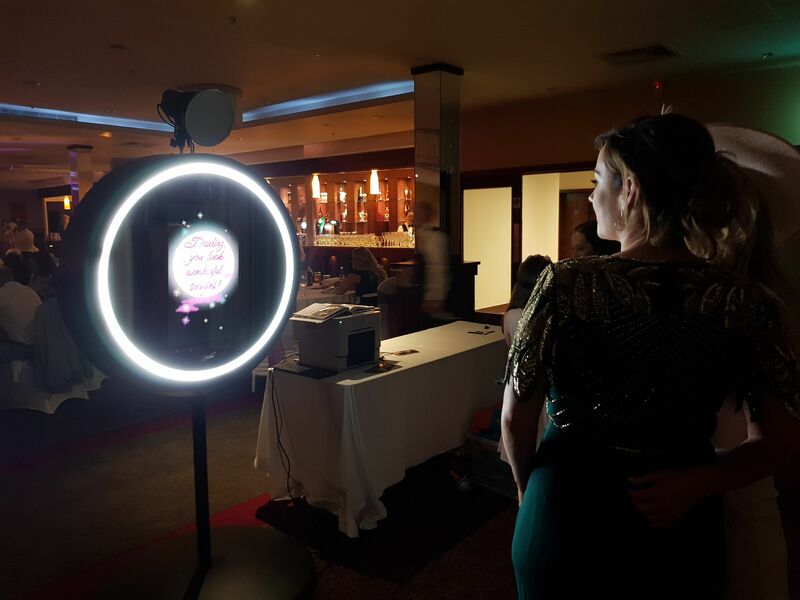 The Beauty Mirror works in the same way as the Selfie Mirror, with touch-screen interaction, voice guidance and colourful animations. 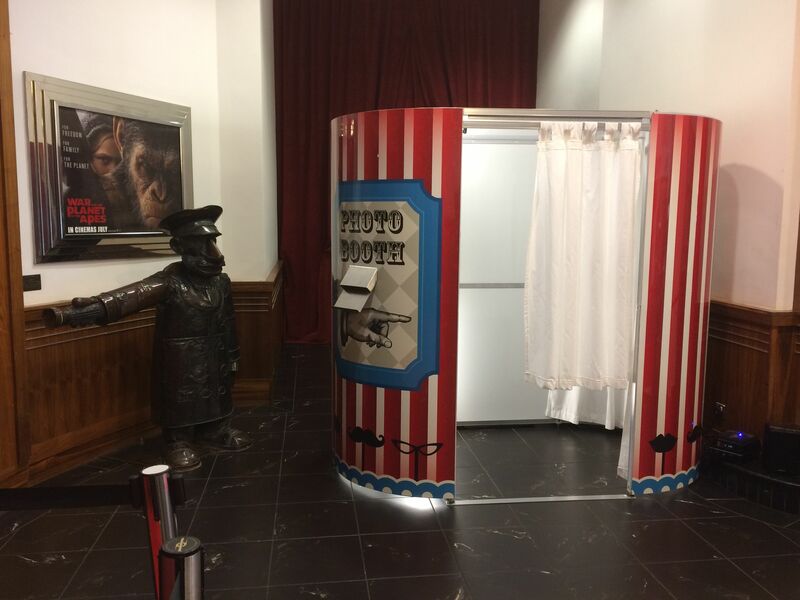 As with the Selfie Mirror, guests are free to take their new photo prints home with them. 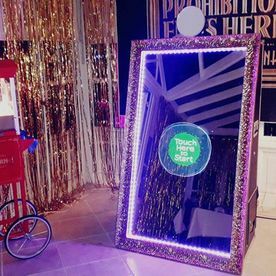 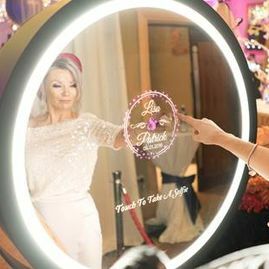 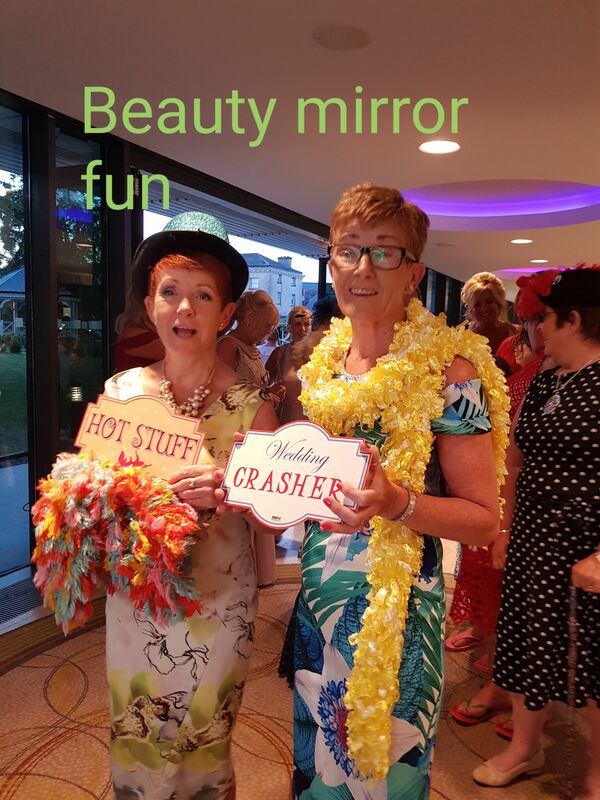 Our Beauty Mirror is a welcome addition to any party or event, providing a unique experience your guests are sure to remember. 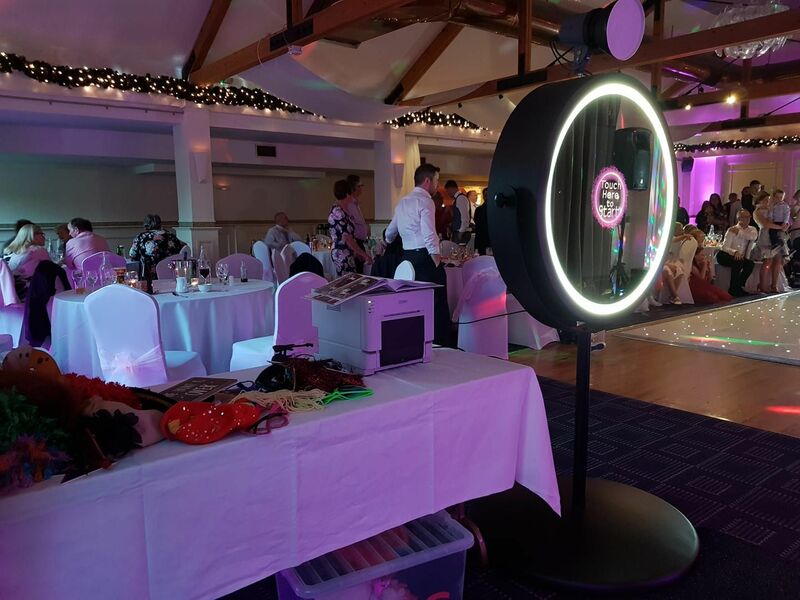 We have recently added a 20 x 20 Sparkle Dance Floor to our offering, fully wired with LED bulbs. 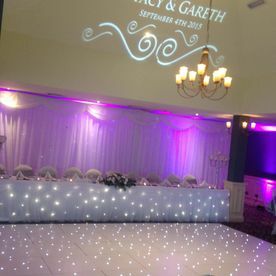 We are one of the only companies in Ireland currently offering LED Sparkle Dance Floors, which are more reliant and better equipped than other light-up dance floors. 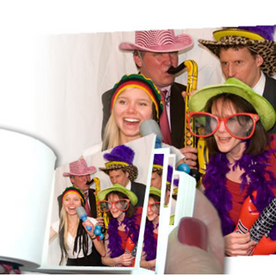 This is a perfect addition to any party or event and looks great in photos.
" 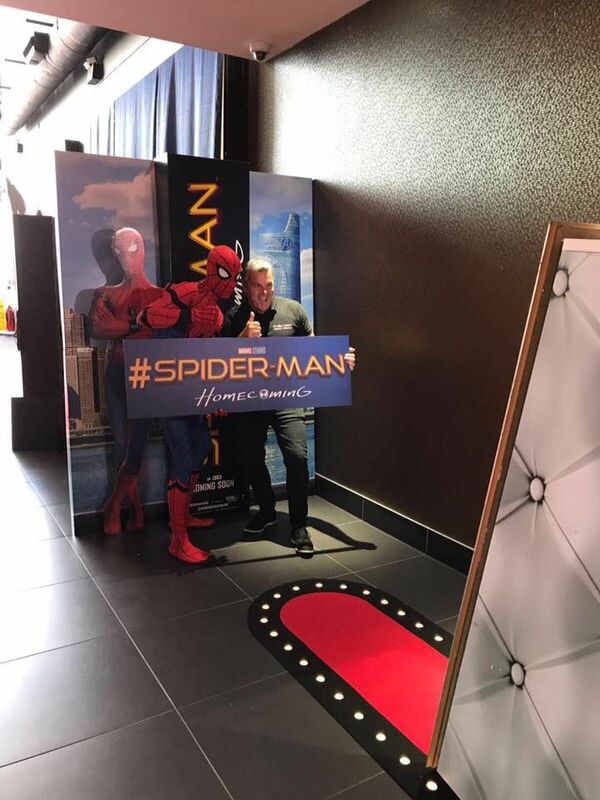 Can't recommend Tony enough. 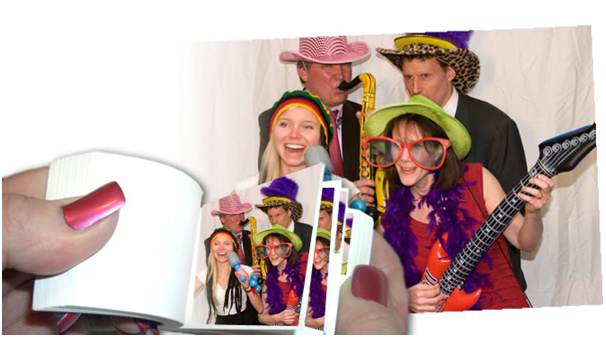 He was a pleasure to deal with, professional, punctual and friendly and interacted brilliantly with our guests. 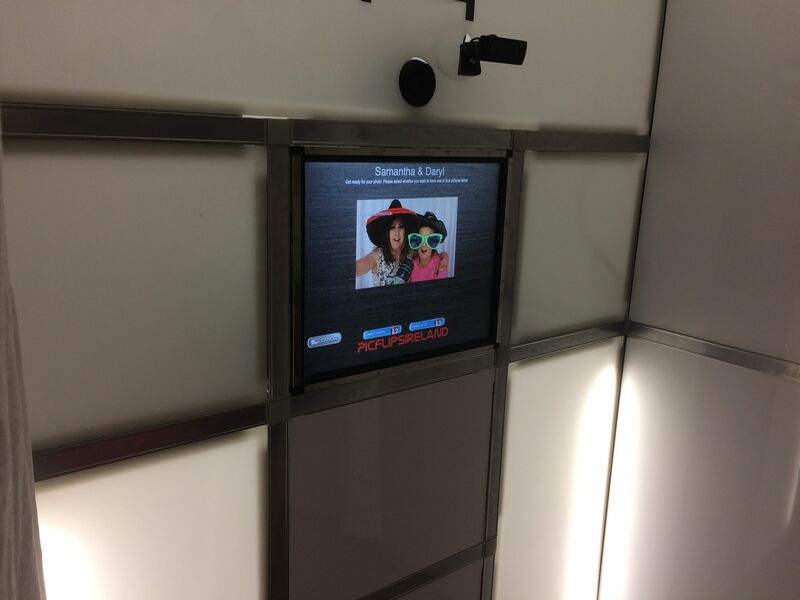 The booth was fantastic and I loved the video option part. 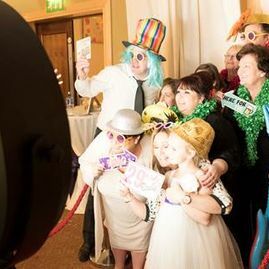 Having the guestbook to look back on was great and bridges the gap to getting your professional snaps back. 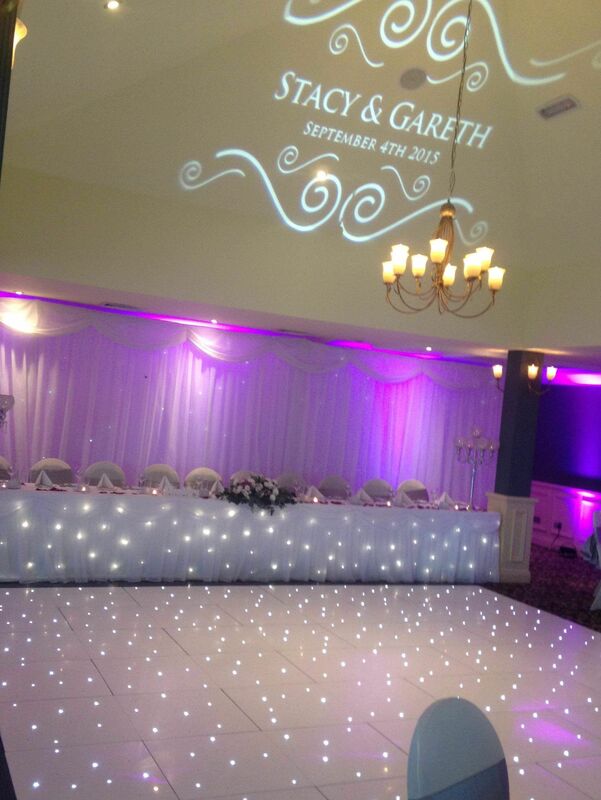 Worth every penny and would recommend to all. " 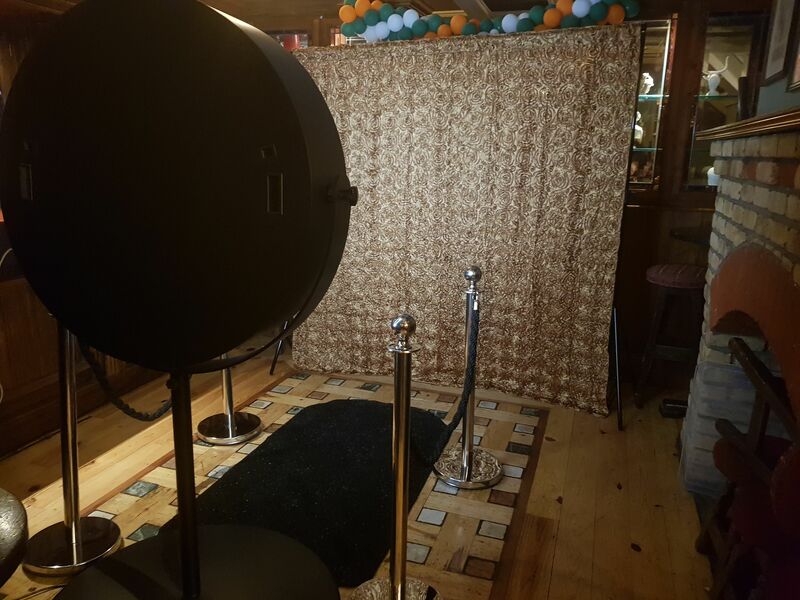 " Had Tony and his team at my sons 21st on Sunday at Scholars Pub. 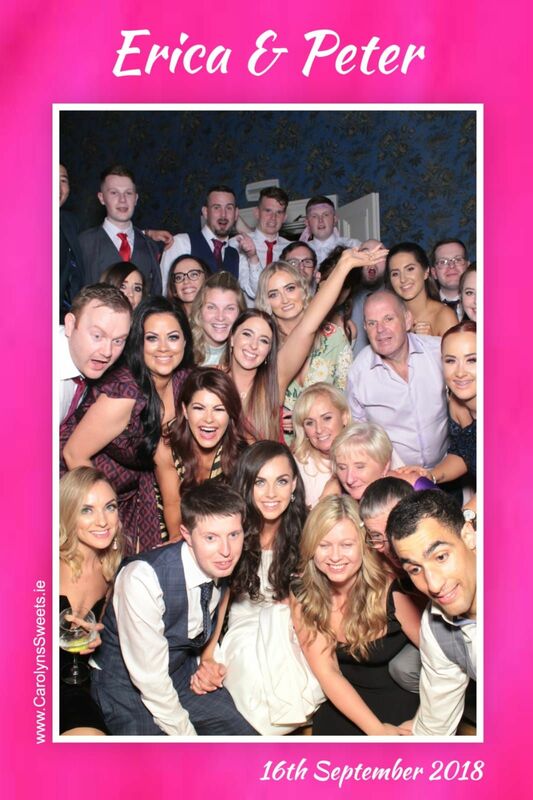 It was great craic. 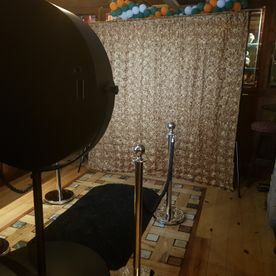 Tony was very professional and the pictures were fantastic. 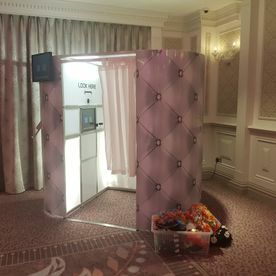 We will definitely use Photobooth Company.ie again. " 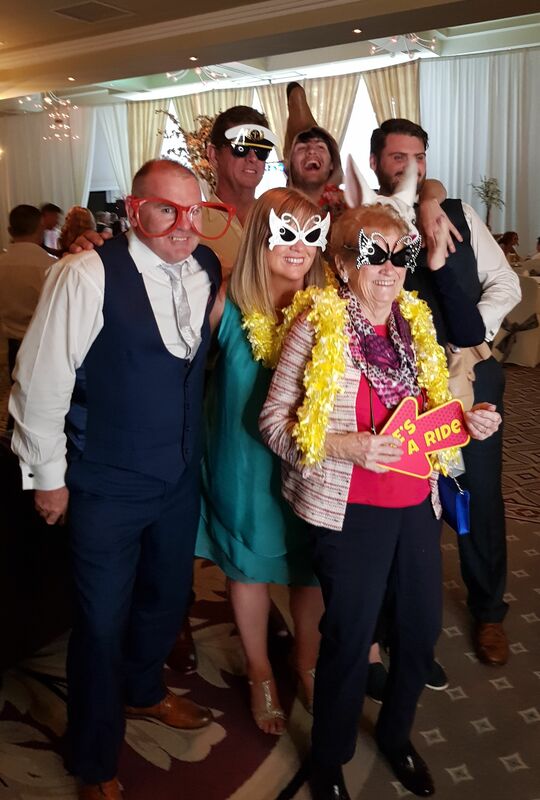 " Brilliant, came all the way to Greyabbey on the Ards peninsula. 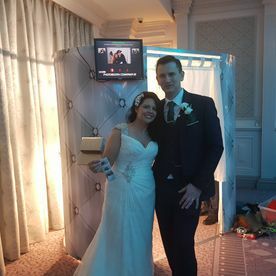 Fantastic service, all our guests loved the flip books, great props and great craic. 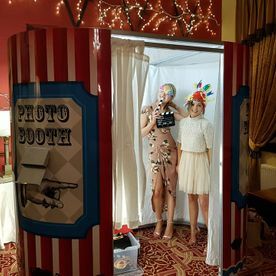 Glad we booked them and not another photo booth like everyone else seems to have. 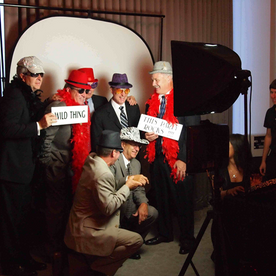 Staff couldn't have done more for us, thanks again! " 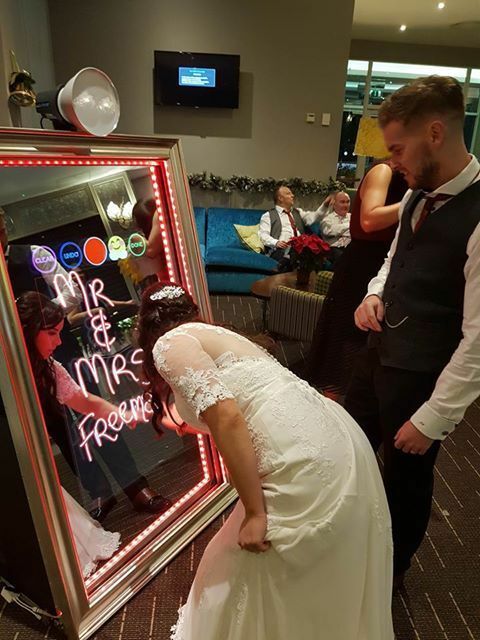 " Fantastic idea, such friendly staff and such a laugh. 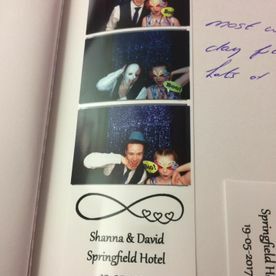 A real talking point at a wedding and it's so nice to have the flip books afterwards. 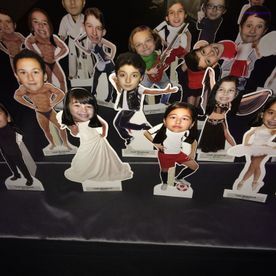 And the video of all the guests is just hilarious - something to cherish. Highly recommend Tony and the Photobooth Company.ie gang! "